Clutter can get out of hand, especially in small living spaces. Before you know it, you are losing things and forgetting where you stored something, and you end up getting another one to replace said item. Or, you think you have something stocked up but it ran out a long time ago, but since you hung on to a near empty containers, you thought you still had a good supply. Clutter fools you into thinking you have some needed items but you actually don’t. We spent the weekend going through our belongings and getting rid of clutter. This will help us free up some space to store emergency supplies and get rid of junk. Why not try and make some money with stuff you already own that no longer serve a purpose? 2. Assess the condition of each item and consider if anyone will want to buy it. 3. Find a way to sell the items. In our area, the weather is starting to cool down, and it is a great time to hold a garage sale. Get together with your neighbors and hold a block sale, which draws a good crowd. Or hold one yourself but make sure you advertise it in your area. Our lease prevents us from holding a garage sale, but our building has its own online page for selling and buying items from other tenants. Your neighborhood may have its own Facebook page where people can list items for sale. You can also try listing on Craigslist. Take good photos and provide an accurate description. Remember to arrange meetups in a public place, with lots of people around when you are selling to a stranger. 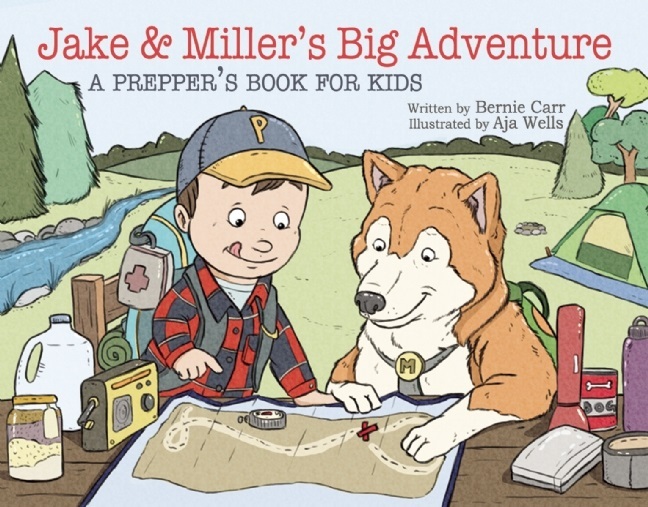 Become an Amazon seller and list books, and even CDs, DVDs and video games. E-bay is still a good place to list items for sale. I’ve managed to sell old owner’s manuals, an old camera and calculator-stuff I did not think anyone would want. A while back, I had some success selling CDs and DVDs on SecondSpin. Some items got between $1-$4, but some just got around $0.25. But if you have a small batch to ship you might as well include even the small valued ones, they all add up. Goodwill now gives you an online receipt: you create an account and list the items you donated. It makes it easy to keep track of donations that you can use if you itemize your charitable donations at tax time. Or if you prefer, donate books to your local library and all other items to your local church charity or homeless shelter. You may not make money but you’ll clear up some space and feel good about helping others. 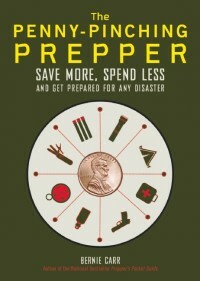 You’ll find lots more tips on how to save money on prepping in my new book, The Penny-Pinching Prepper, available now. We do this every couple of years. We go through the house and rid ourselves of old items that we no longer have any use for .. .most notably the kids toys as they outgrow them. We put a few bucks in our pockets, clear out some much needed space, and “declutterize”. Mike the Gardener, Kids outgrow their toys so quickly it makes sense to sell or donate them before they take over the space. Thanks for the comment. While I’m pretty good about one toy or one item of clothing in, the same goes out to the donation, we’ve had to really start going through things because of our upcoming move next summer. We held a garage sale last weekend and made $350. That sounds good but it sure was a lot of work getting everything cleaned up and set up. I’m sure the people appreciated getting good bargains but it would have been much easier to donate it all and take the tax deduction. I would have probably made out better financially too. Whatifitistoday, That’s great you made $350 but I see your point about the work involved in setting up a garage sale. Since we can’t hold garage sales we either sell piece by piece or just donate and take the tax deduction. Best wishes on your upcoming big move! Thanks for the comment.